Not sure whether you want to step back in time or jump into the future? The current issue of The Municipal Leader lets you do both. 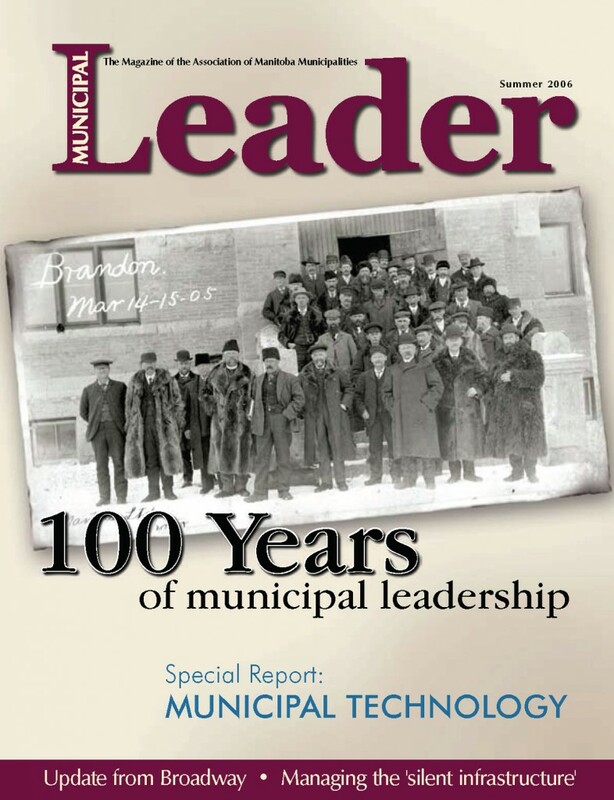 First, help the AMM celebrate 100 years of municipal leadership by reading ‘A Union of Manitoba Municipalities’, an account of the 1905 founding meeting in Brandon. More interested in GIS technology, hybrid vehicles, or high-speed Internet? One look at our ‘Special Report on Municipal Technology’ will help you return to the present.